About: CA Foundation, earlier known as the CA Common Proficiency Test (CA-CPT) is a National Level Entrance Examination for the candidates aspiring for the career as Chartered Accountant in India. Conducting Body: CA Foundation is conducted by the Institute of Chartered Accountants of India (ICAI) in compliance with the Chartered Accountants Regulations 1988. Frequency: CA Foundation is held twice a year, in the month of June and December. Courses Offered: CA Foundation 2019 is conducted for candidates who wish to pursue a career in Chartered Accountancy in India. Exemption from CA Foundation: Candidates who are postgraduates, commerce graduates or have an equivalent qualification aspiring for a career in Chartered Accountancy are exempted from writing the CA Foundation examination. Results: The CA Foundation 2019 Results will be tentatively published within 3-4 weeks after the exam is completed. Validity of Score: Your score is considered valid for a period of 3 years. The results can be checked through various methods. Correction Window: You can change the details filled in the application form in case of a mistake. The details can be changed within a certain period of time. ICAI CA Foundation & IPCC Exam Schedule 2019: The Institute of Chartered Accountants of India (ICAI) has released the CA Foundation 2019 Important dates for the Common Proficiency Test (CPT). CA Foundation Candidates: Last year, 1,28,853 candidates had appeared in the CA Final Examination June 2017 and about 63,035 candidates had appeared in CA Foundation December 2017 examination which was organized in 327 exam centers in India and in abroad. Results: The results for CA Foundation 2018 June has been declared by the Institute of Chartered Accountants of India (ICAI) on 25th July 2018 around 2 pm. The results for the exam conducted in November is expected to be released on the 3rd week of January 2019. Merit List: ICAI has prepared an All-India Merit list for the candidates who secured a minimum 55% marks and above, up to the 50th rank, in their CA Final Examination November 2017 Result. Application Form: The application form for the CA Foundation 2019 June will be available from 20th February 2019 and the last date to submit the application form will be on 16th March 2019. Admit Card: The Admit Card will be released by the conducting authority i.e. ICAI on 27th April 2019. 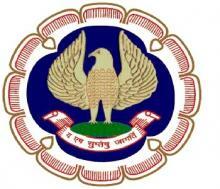 Exam: ICAI is scheduled to conduct the ICAI CA Foundation 2019 June will be conducted on 4th June 2019 in two sessions viz. 10:30 am to 12:30 pm and 2 pm to 4 pm. Result: The CA Foundation 2019 June results will be announced on 27th June 2019. Get more information about CA Foundation 2019 Important Dates. Qualification: The aspirants must have passed 10+2 level (Senior Secondary) qualifying examination from a national or state recognized Board of Secondary Education in India. Registration: The aspirants are required to register/ switch over to Common Proficiency Course with Board of Studies of ICAI before October 2, 2019. Get more information about CA Foundation 2019 Eligibility Criteria. Subject-wise Syllabus: Candidates preparing for CA Foundation 2019 should refer to the detailed syllabus for each subject as this gives them a better understanding of the type and content of questions to expect in the exam. Topics: The 200 questions to be asked in CA Foundation 2019 will be based on topics like Fundamental of Accounting, General Economics, Mercantile Laws, and Quantitative Aptitude that are divided into separate sections. Mode: CA Foundation 2019 is an offline test (Pen and Paper Based) which requires the physical presence of the student in the Examination Hall. Language: CA Foundation 2019 Examination can be taken up in either English or Hindi, as preferred by the student. Session 1: Accounting and Mercantile Law. Session 2: General Economics and Quantitative Aptitude. Get more information about CA Foundation 2019 Exam Pattern. Application Mode: The application form is only available online. Format: The CA Foundation December 2019 application form will be available in a PDF format which needs to be printed by the candidates on A4 size sheets. Correction Window: In the Application correction window, the candidate can edit/ modify details such as the medium of exam and exam center. Application Fee: The CA foundation application fee amount depends on the location of your test center. There is no fee exemption provided. Get more information about CA Foundation 2019 Application Form. The details of the Exam Center will be given in the candidates Admit Card. Overseas Exam Centres: Abu Dabi (UAE), Doha (Qatar), Dubai (Dubai), Kathmandu (Nepal), Muscat (Oman). Get more information about Exam Centres CA Foundation 2019 Exam Centres. Availability: The applicants must download the admit card from the official website by entering their login details. The CA Foundation Admit card for December 2019 will be available for download from 27th April 2019. Online copy: No hard copy of the admit card will be sent to the candidates, the admit card will only be available online which needs to be printed. Requirement: All the candidates will have to carry the printed copy of the admit card for admission to the examination hall during CA Foundation 2019. Get more information about CA Foundation 2019 Admit Card. Announcement: The CA Foundation 2019 results will be announced by the ICAI on 27th June 2019 and candidates can check their qualifying status for Chartered Accountancy Common Proficiency Test online on the official website. Format: It will be published in a PDF format, which will have roll numbers and names of the qualified candidates. The published result also mentions the qualifying status of candidates, individual subject marks and minimum qualifying marks for CA Foundation 2019. Certification: In addition, candidates who obtain a minimum of 70% marks in the CA Foundation 2019, will receive a “Pass with Distinction” certificate from the ICAI. Minimum Marks: Candidates have to score the minimum marks set by the ICAI to get shortlisted for Common Proficiency Course (CPC). Minimum Marks in Both Sections: The candidates must have scored a minimum of 50% average in both the sections together and a minimum of 30% marks in each section. Comprehensive Material: The ICAI provides a comprehensive reading material including a large question bank. Model Test Papers: Candidates are advised to take benefit of the Model Test Papers and question banks. Mock Exam: It is essential for candidates to take up the mock exam and go through CA Foundation 2019 Previous Year Question Papers to get an idea of the type of questions asked in the exam. Inference: The above graph depicts the trend in the last 6 years; students who appeared for the exam and passed in the same. Red and green bar: The red bar denotes students who have appeared for the exam and green bar shows the students who passed the CA Foundation exam. Demographic information: The above graph shows the demographic distribution of the candidates who have appeared for the exam in June 2016. Pass %: The pass percentage for CA Foundation June 2016 was 40.5%. Demographic information: The above graph shows the demographic distribution of the candidates who have appeared for the exam in December 2016 and qualified in the same. Pass %: The pass percentage for CA Foundation December 2016 was 46%. Time of the registration: The candidate has to reach the allotted examination centre 30 minutes before the start of the examination to complete the registration formalities well before the time. Stationery products: Ensure carrying 2 black ball pens, 3-4 HB pencils and other requirements for examination. The candidate has to mark the responses with an HB pencil and write details with a black ball pen. Carefully fill the circles in OMR sheet: Aspirants need to check twice after filling the circles in the OMR sheet and other details in the examination. Use rough page for calculations: All calculations should only be done in the rough pages of the question paper. Avoid calculations at any other place. Response & marks: CA Foundation exam is more about confidence and spontaneous decisions. Attempt only those questions in which you are confident. Your every wrong attempt will reduce your marks. Test conducted as per schedule: No candidate will be allowed to leave his/her seat or the examination hall until the test concludes as per schedule. Scribble pads: Scribble pads will be provided to the candidates in the examination hall by the invigilators. The same should be used for all rough work. Minimum attempting Qns: It's better for the candidate to attempt 160 questions with full confidence than attempting 200 questions with 40 wrong attempts. Avoid carrying expensive products: Except for the CA Foundation 2019 Admit Card and identity proof, candidates are not allowed to carry any textual material, Electronic Watches, printed or a bit of paper, mobile phone, pager or any other device inside the Examination Room/Hall. To be eligible for the CA Foundation exam, you have to pass the 12th standard from a recognised university of India. The candidate must have achieved atleast 60% marks in the Class 12. The CA Foundation course is related to finance, so the students should bear in mind that they should have a good knowledge of commerce field.